Drawing of a male torso. Francis Sibson, c.1840–1860. © Royal College of Physicians, London. 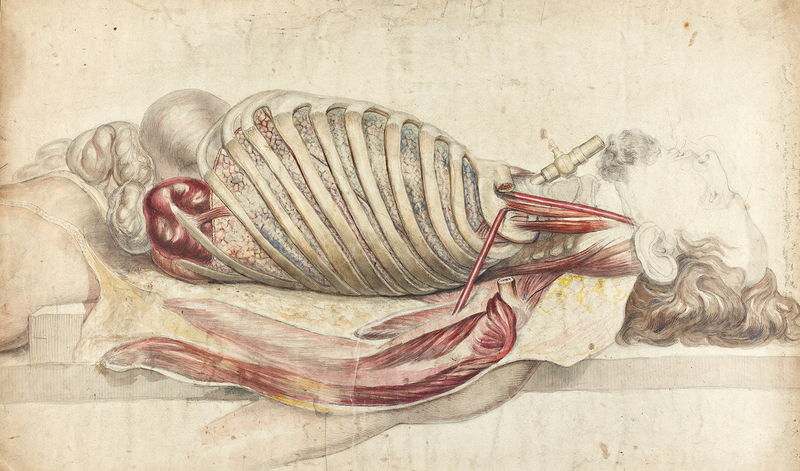 Physicians, surgeons, artists and printers have developed tools and techniques to illustrate human anatomy, and to communicate what is hidden inside the human form. From simple woodcuts to high-tech MRI scans, their greatest challenge has been to represent the layers of the three-dimensional body on the two-dimensional screen or page. Their efforts are masterpieces of art and science. 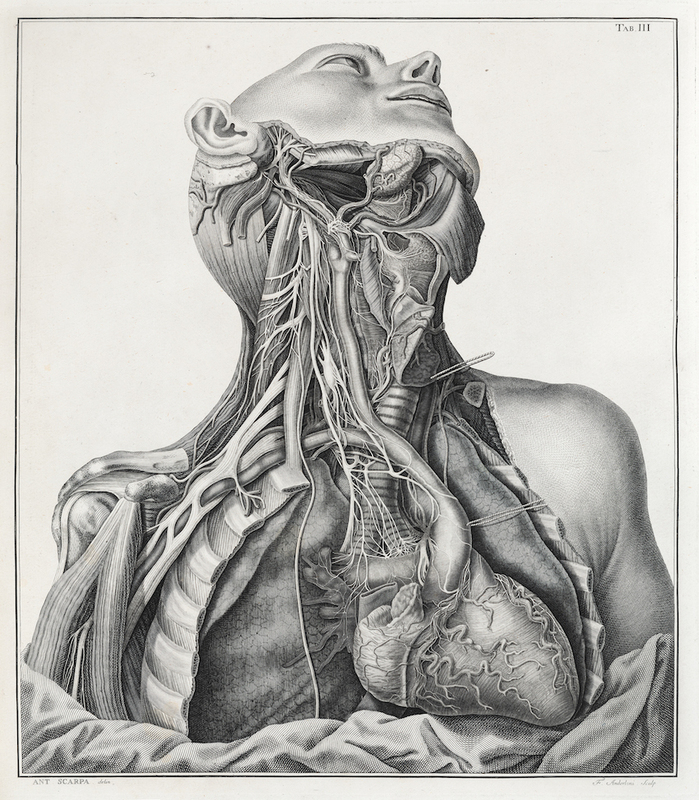 The drawings, books and objects from the RCP library, archive and museum collections displayed in this exhibition capture beautiful and unsettling interpretations of the shapes, structures and textures of organs and tissues. Tabulae neurologicae. Antonio Scarpa, published Pavia, 1794. © Royal College of Physicians, London, photography by Mike Fear. The exhibition will be open from 1 February to 15 March 2019, Monday–Friday, 9am–5pm and is free to visit. Pre-booking is not required, however groups larger than 6 people are required to pre-book a guided tour with museum staff. See the RCP visiting page for details of planned closure days in 2019. Guided tours of the exhibition are available to book for groups between 6-25 people, Monday to Friday 10am - 5pm subject to staff availability. Tour charges can vary depending on the content and duration which can be tailored to your group’s interest. Student groups are usually free. We are now booking tours until March 2019. Situated on the east entrance of Regent’s Park with easy access to central London, the Royal College of Physicians’ Grade I listed HQ houses a* museum, library, seminar and lecture halls, meeting rooms, curated gardens and banquet suite. The RCP’s museum and gardens are open to the public Monday–Friday, 9am–5pm. We are not open at the weekend. Please note that the RCP is a busy conference venue and occasionally the exhibition gallery and other spaces will become crowded as delegates move around the building, particularly at lunchtime.